are so much fun to make. I think they capture the essence of Autumn and the spirit of Halloween. and this one, Goddess of Autumn. Next weekend, I’m working at a haunted corn maze, this year selling body parts. If you haven’t visited a corn maze on a dark night, you should know that it’s a whole different experience! 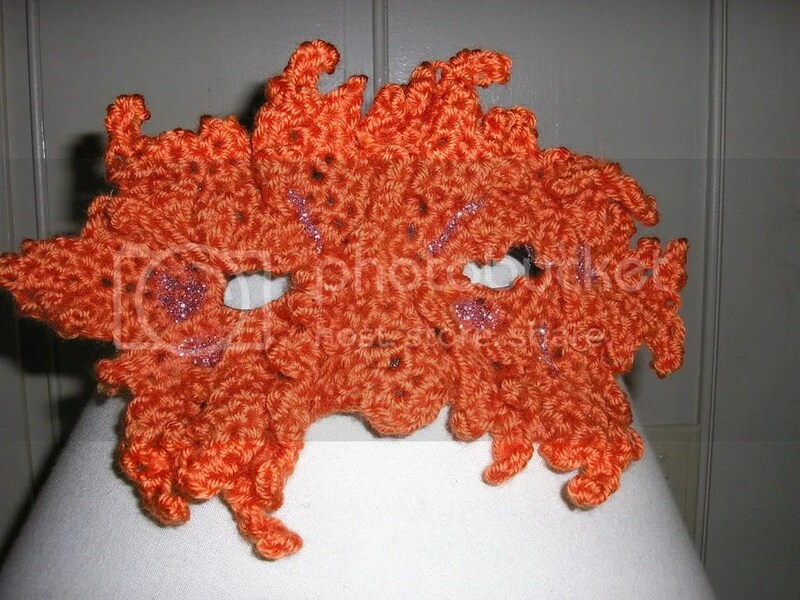 Anyway, it’s only a few days off and I’ve been thinking about what kind of mask to wear. I want to make it myself but didn’t want to go to a lot of trouble. And it has to be comfortable. Then I saw this wonderful creation, and can’t wait to get started! It’s reminiscent of the medieval “green man” image carved in stone in churches all over Europe. Kind of a one with nature feel, just perfect for autumn. Fall is around the corner, just up the road a little way. Thinking of fall projects yet? This pattern is listed on Crochet Memories as a “fridgie”, but I’m including it here on Dances because I can think of lots of uses for these colorful little leaves. Or even green ones. Hat or purse trims, as part of a fall table runner, napkin rings, candle rings, centerpiece components…. 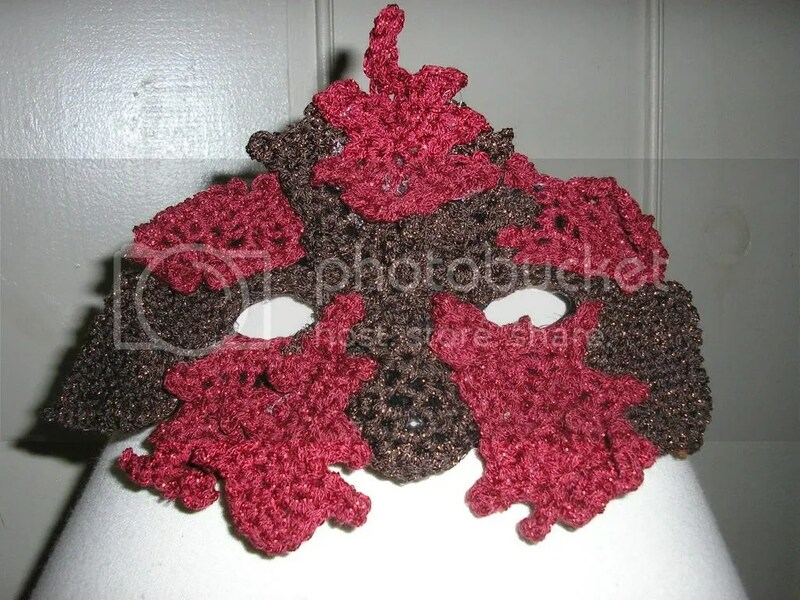 From Knit and Crochet Now!, two simple masks, one in knit, the other in crochet. These look so much more comfy than the plastic commercial ones, and are amenable to adding decorations. Bet they’d look even better on someone with normal coloring!